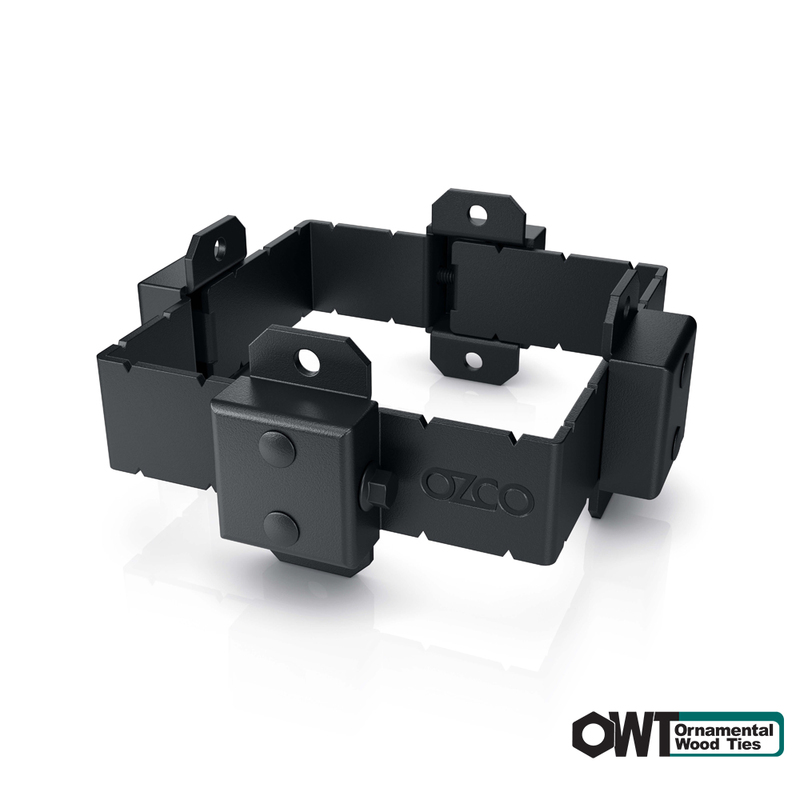 Designed to add a unique touch to your Outdoor Structure, OZCO OWT 6″x6″ Post Band is an innovative solution for every creative building project that involves Ironwood elements. No matter how harsh the weather conditions, the band will protect the wood from splitting and prolong the life of your construction for years to come. Simply adjust the band on the post and secure it with bolts that come in the kit. Rain or shine, your wooden posts will always remain healthy and good-looking. The product is intended for 6″x6″ posts and can be used both indoors and outdoors. Perfectly suitable for ACQ pressure-treated wood. Apart from performing a protective function, the OWT Post Band serves as an excellent decorative element of design. Hot-dip galvanized steel and black powder coating ensures a clean look and consistency throughout the entire project. Moreover, the Post Band is resistant to corrosion, so the construction will look great in 20 or even 50 years from now, ridding you of unnecessary expenses in the nearest future. With our OWT Post Bands, you can be sure you’re creating a strong and safe construction that will stand the test of time and won’t let you down even under the harshest of circumstances. Love our Post Bands? Be sure to see our line of Accessories for all types of Outdoor Living conveniences!